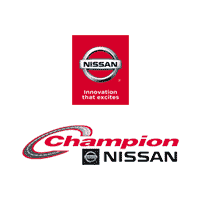 Champion Nissan features the latest manufacturer offers and incentives on all new Nissan vehicles. Discover which offers are best for you and drive off in a new car today. Come to Champion, one of California’s Most Progressive Nissan Dealerships located in Los Angeles County – Valencia, CA. Test Drive the newest Nissan vehicles & browse at what is a very large inventory of pre-owned vehicles for sale in Valencia which you can arrange to test drive. Get your personalized car price quotes, convenience in scheduling automotive service. Experience our parts department, expert staff that is trained and certified to assist you in your auto selection. We offer you multiple ways to finance your vehicle and lease options on your car, truck or SUV. Check out our specials, get more money for your trade-in at Champion, your local Santa Clarita Valley, Los Angeles County Auto Dealership. At our Dealership in Valencia, you will find your ideal vehicle in our inventory. Build it to your personal taste and see reviews, research features, equipment, options and specs of the new Nissan. Then get a quote, compare MSRP, view photos, and schedule a test drive for any vehicle on our lot. Champion Nissan carries all the models including the 370Z, Altima, Armada, Frontier, Juke, Leaf, Maxima, Murano, NV200 Cargo Van, Pathfinder, Rogue, Rogue Sport, Sentra, Titan, Titan XD, and Versa. Models including the GT-R and Versa Note may not be available and you may need to speak with a Champion Nissan sales associate to have one ordered. Champion Nissan is a great place to look for your new Nissan in Valencia, Los Angeles, Simi Valley, San Fernando Valley, Los Angeles Areas. Search our inventory of pre-owned cars in Valencia – Los Angeles, CA compare vehicles by make and model, imports and domestic, research features, read car reviews, compare pre-owned cars and trucks by make and model, get to know the car you want, check for sales specials and set up a test drive. Here at Champion Great Deals await! Schedule Service with our State of the Art Service Center. Oil changes, batteries, wiper blades replacements, tire rotate and balance to transmissions, we are dedicated to customer service, for both new and pre-owned car buyers! No matter what your vehicle – Champion is the Place! Factory direct genuine OEM auto parts and accessories; oil filters, exhaust systems, ignition coils, spark plugs, struts, brakes, satellite radios, DVD players and more; we’ve got it all at Champion. Research Finance Options – We want you to leave our lot in the car of your dreams that you can afford; the finance department can help by securing you a great car loan or lease.